Whether you are looking for your first home to build or to downsize to something easier to manage, Remington Homes has something for you. With four reasonably priced floor plans to choose from, our variety of interior and exterior selections coupled with a wide range of available upgrades will get you into the home you have always been dreaming of. Don’t see what you were looking for? 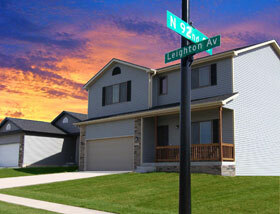 Be sure to check out our custom built homes at Aspen Builders. Excited to get started? Interested in more information? Feel free to contact us now.